This month I was nominated for a Muslimah Bloggers Award. 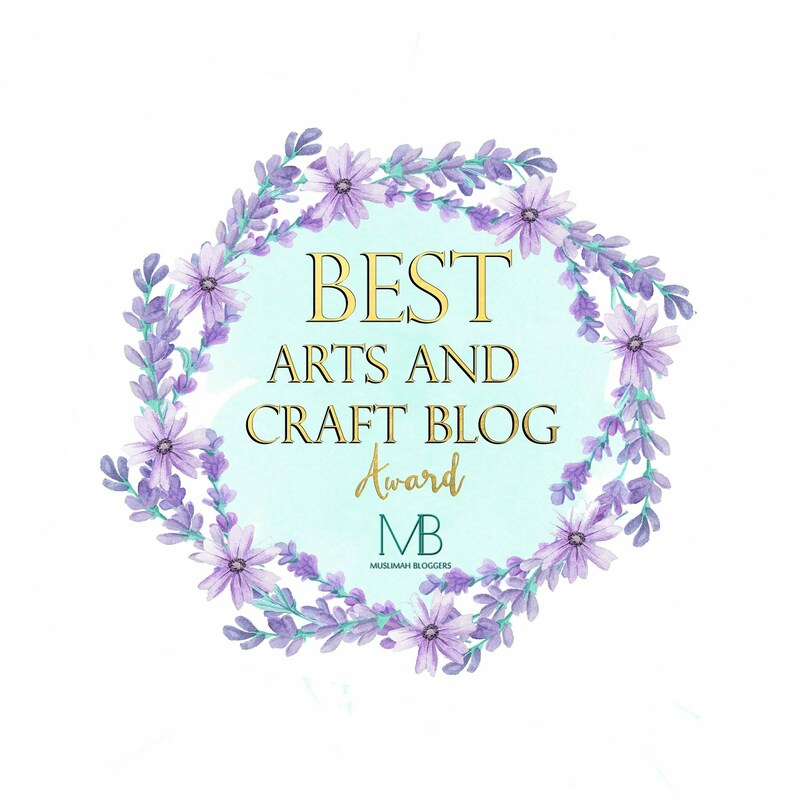 I am pleased to say that I won in the 'Best Arts and Crafts Blog' Award category. See below for all the nominations and other winners categories. MashaAllah sister in Islam mabrook and congratulations on this online blog award :) May Allah the Most Merciful accept all our good deeds and guide us to all that He and His noble Messenger Muhammad SallAllahu alaihi wa sallam love. Ameen.